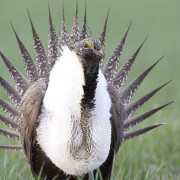 April 19, 2019 – Advocates for the West filed a preliminary injunction motion in this case to block Interior Secretary David Bernhardt’s new plans that allow drilling, mining and other destructive activities across 51 million acres of greater sage-grouse habitat. The land-management plans would gut protections for the birds’ dwindling populations and destroy remaining habitat. Our motion is supported by 16 declarations (see in Case Filings below) from sage-grouse scientists, wildlife biologists and public lands enthusiasts who are urging the court to stop the Trump administration’s plans. March 27, 2019 – In a followup to this case, Advocates for the West filed suit against Acting Interior Secretary David Bernhardt and the BLM in Idaho federal court over their recent decisions to gut protections for greater sage-grouse across millions of acres of public land in the West. Bernhardt is President Trump’s nominee to replace Ryan Zinke as Secretary of Interior, and is a former lobbyist and attorney for oil and gas, coal mining, and other industries. He has been criticized for using his position to favor those industries, including by opening millions of acres of sensitive lands to fossil fuel development. The lawsuit identifies Bernhardt as the “architect” of recent policy changes adopted by the Trump Administration to rescind or weaken the 2015 plans on BLM lands in seven states – Idaho, Wyoming, Utah, Colorado, Nevada, California, and Oregon – that have most of the remaining sage-grouse populations. The challenged plans create enormous loopholes that make it easier for fracking and drilling near the imperiled bird’s prime habitat. The lawsuit notes that these changes were sought by the oil and gas industry beginning in July 2017, and that Bernhardt and BLM have misled the public about the nature and extent of the changes. February 25, 2016 – Advocates for the West filed a new lawsuit in Idaho federal court seeking to increase protections for greater sage-grouse across more than 70 million acres of federal lands in 10 western states. The case argues that new land use plans adopted by the Forest Service and BLM fail to address climate change and other threats to sage-grouse, including oil and gas development, livestock grazing, and transmission lines. In 2012, after Advocates for the West sued on behalf of Western Watersheds Project, the Idaho federal court ordered BLM to better analyze sage-grouse threats in two land use plans. That ruling, plus the possibility of Endangered Species Act listing, prompted BLM and the U.S. Forest Service to spend the last three years revising some 98 federal land use plans affecting sage-grouse populations. The new federal plans, finalized in September 2015, for the first time identified “priority” sage-grouse habitats, and recognized that these habitats need increased protections from human disturbances like energy development. 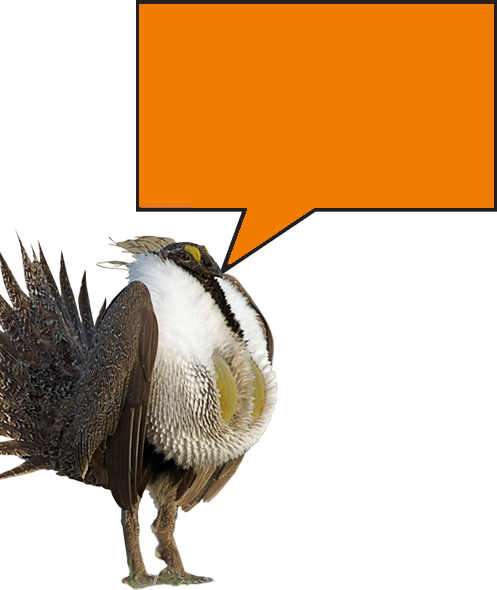 This represents an important step forward in sage-grouse conservation. But this modest advance is not enough. The new plans omitted millions of acres of key sage-grouse habitats from the priority designations, at the behest of states and industries. And rather than assess sage-grouse threats and conservation needs on a range-wide basis, as scientists recommended, the agencies used 15 different planning regions to come up with disjointed conservation measures. The resulting plans are filled with loopholes to permit industrial development, rather than science-based protections for sage-grouse. Oil and gas development may still occur within key sage-grouse habitats in Wyoming and other states, even though the science shows that this development harms sage-grouse. Livestock grazing will continue unchecked. And several new transmission lines that would further fragment key habitats will move forward without necessary sage-grouse protections. The new lawsuit does not seek to overturn the new plans, but asks that the Court order the agencies to better analyze climate change and other range-wide issues.